The Washington Multi-Family Housing Association has become the go-to source for local, regional, state and national legislative information that affects our industry. Representing 1,400 members and over 200,000 rental homes in the state, WMFHA is a powerful voice for the industry. 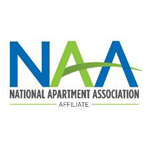 In addition, as the Washington State affiliate of the National Apartment Association, we have opportunities to become involved on various issues throughout the country. Policies emanating from both Washington, D.C. and our state capital will play a key role in either assisting or hindering our industry from being able to continue to provide affordable, safe and decent housing to America’s workforce and to help create vibrant communities. Government action or inaction on issues can impact the day-to-day management of apartments by raising costs, adding liability risk and creating uncertainties. A burdensome regulatory environment can also increase expenses, thereby raising rents, and acts as a disincentive to invest in affordable housing solutions. Apartment supply needs to keep up with demand and can only keep pace with population growth if incentives exist to encourage new development of housing, at all price levels and in all areas where homes are needed. WMFHA’s mission is to support and lead legislative regulatory policy both locally and nationally that promotes and preserves quality rental housing for all. The apartment sector is an industry that helps today’s renters live in a home that’s just right for them and plays a vital role in the nation’s economic strength. In March, WMFHA staff and key members traveled to Washington D.C. to join with NAA to meet individually with our state’s members of Congress to educate them on our industry and how we can work together. Grassroots advocacy efforts in our nation’s capital included frank discussions with members of Congress on cybersecurity, infrastructure, ADA lawsuits and national government-backed flood insurance. The housing industry supports an infrastructure policy that drives new investment in housing, promotes transit-oriented and high-density development and funds community-level infrastructure needs. A cooperative approach to housing development and infrastructure planning maximizes community benefit and promotes efficiencies in transportation, land use and public works. Rental housing owners and operators, and their third-party service providers, are responsible for safeguarding vast amounts of highly sensitive, personal data collected, used and maintained about applicants, residents and employees. Data breaches can impact all of these individuals and create severe reputational, financial and legal costs for apartment firms. We explained that Congress should enact legislation that will create a single national data security and breach notification standard that is reasonable, flexible and scalable. WMFHA met with Senator Maria Cantwell to show our support for her long-time efforts to increase federal funding for the Low-Income Housing Tax Credit (LIHTC). Shortly after, the $1.3 trillion omnibus spending plan agreed to by Congress will provide for a 12.5% increase in funding for LIHTC for the next four years. The omnibus bill also increases funds for the Department of Housing and Urban Development (HUD), including public housing and HOME programs. At the state level, the short legislative session in Olympia ended on time, with few solutions on how to build more affordable housing. Proponents of a state-wide source of income protection worked with legislators and rental housing groups to finally bring a source of income proposal that would prevent landlords from denying tenancy of an applicant based solely on their intent to pay rent with a rental subsidy or alternative legal source of income (e.g., a Section 8 Housing Choice Voucher). A critical benefit of this legislation is the establishment of a permanently funded landlord mitigation fund, which would allow landlords to claim reimbursement for up to 14 days of lost rent due to inspection delay from a housing authority or other subsidy provider; will reimburse up to $1,000 for needed repairs in order to pass a subsidy provider’s inspection; and pay up to $5,000 in damages, including unpaid rent and unpaid utilities, as a result of renting to a subsidized tenant. For the first time in 19 years, legislation was proposed to remove the statewide pre-emption on rent control. Bills were introduced in both the House and Senate and received public hearings in both chambers to remove this pre-emption, but neither unpopular bill moved out of the policy committee and both ultimately died. While the focus now switches to “campaign mode” for half of the 49 seats in the Senate and all of the 98 seats in the House, many legislators from both sides of the aisle have announced their retirement and more are expected in the coming weeks prior to the May 18 candidate filing deadline. The WMFHA Political Action Committee (PAC) is poised to support candidates whose political views align with the multifamily apartment industry and who can lead to effective solutions to housing the residents of this state. In Seattle legislative news, Seattle's First-in-Time law passed in 2016, which requires landlords to rent to the first qualified applicant who applies, was struck down by a King County Superior Court Judge, who stated: "The [First-in-Time] rule is an unreasonable means of pursuing anti-discrimination because of its sweeping overbreadth." In describing how the city went beyond its authority and how the law was unconstitutional, Judge Parisien goes on to say "the [First-in-Time] rule restricts far more speech than necessary to achieve its purposes in stopping discrimination." On the heels of this victory over burdensome regulation, Seattle’s so-called Fair Chance ordinance, which prevents the use of criminal history in tenant screening, seems right for a legal challenge as well. In another example of the Seattle City Council’s attacks on landlords and the rental housing industry, Councilmember Kshama Sawant is proposing legislation that would require a landlord to pay tenant’s an amount equal to three month’s rent if the landlord has given a rent increase of 10% or more and the tenant decides to move-out. Much is at stake for the apartment industry in this political environment. As the multifamily housing industry continues to meet the needs of our state’s residents, it is ever more critical that we meet the growing rental demand across the country and locally, creating millions of jobs and making homes affordable to more renters. To get there, we need new public policies that support the multifamily housing industry and that don’t make it harder for renters and their families to find the housing that makes sense for them and their community. Addressing the growing shortage of quality affordable housing for Americans is a top industry priority. Today’s regulatory barriers, limited financing, and increased compliance and construction costs inhibit the private sector from constructing, rehabilitating and operating apartments at rents in line with incomes. More sensible policy is needed and we’re here to fight for reasonable policy equitable to our industry and the community.